Published on March 6, 2013 in General T&T, International, Latin America, Politics, USA and Venezuela. 1 Comment Tags: Hugo Chávez. 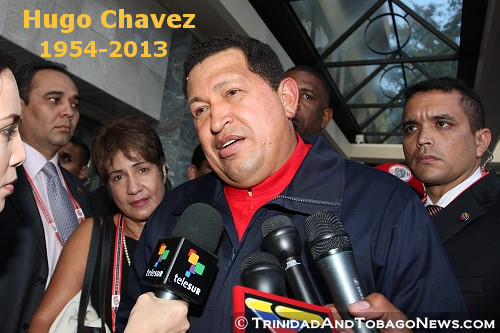 Hugo Chavez (1954 — 2013) at The 5th Summit of the Americas[/caption]Venezuelans mourn. 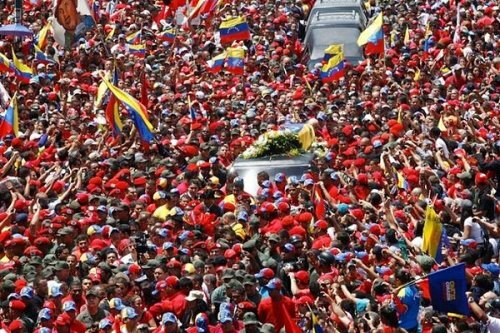 Chavismo lives! Bolivarianism is institutionalized. Published on September 25, 2010 in corruption, Crime in T&T, Drug Trade, General T&T, International and Latin America. 20 Comments Tags: Abuse, Chaguaramas, Cocaine, Crime in T&T. British and Spanish police are investigating why 1.5 tonnes of cocaine, worth close to $1 billion, left Chaguaramas earlier this month aboard a yacht headed for Spain. The yacht was traced across the Atlantic Ocean by satellite after it left Trinidad until Spanish Police intercepted it on Monday. The drug haul showed similar signs to one of the biggest drug cases in Ireland two years ago, which also had strong links to T&T. The La Flibuste yacht, a UK-flagged vessel, was moored at Chaguaramas earlier this month before leaving with the cargo of 1.5 tonnes of cocaine hidden in a false roof of two of the cabins.